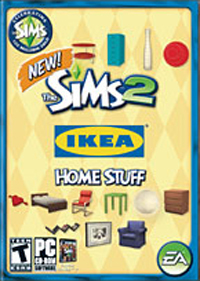 yeah the new expansion pack it is Ikea furniture. The Swedish multinational has managed to see the potential of the game to promote their products (and vice versa, since the Ikea furniture with fans around the world). The truth is that the alliance could not be better, because if there is any case of product placement justified in a video game, this certainly is.